Sweet and flavorful honey soy sauce chicken bento with sauteed cabbage, Tamagoyaki, tomatoes, and fresh fruits. Enjoy with onigiri. Since I pack my kids lunch boxes almost every single day, leftovers often come to the rescue on busy weeks that are packed with activities. I just need to double the batch of our dinner and use the leftovers in the bento. 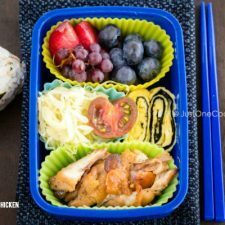 One of the easiest bento boxes which happens to be my kids’ favorite is this Honey Soy Sauce Chicken Bento. 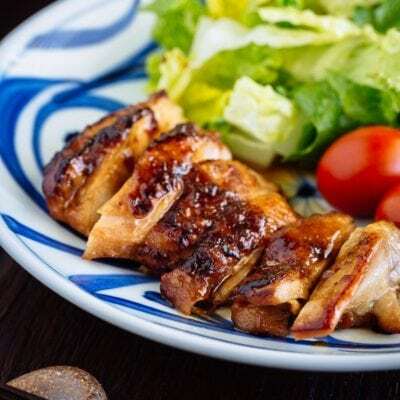 Marinated in soy sauce, sake and honey, the Honey Soy Sauce Chicken makes a truly simple meal for weeknight dinner. With only 4 ingredients, it takes less than 10 minutes to prep. Before dinner, simply pop the chicken in the oven for 20-30 minutes and bake until golden brown. Whenever I make this recipe, I always double the drumettes so I can stretch them for the next day. If you are new to packing lunches and interested in making bento-style lunch, check out my short video below on How To Make Bento. You could put chicken drumetts directly in the bento, but knowing how slooooow my children eat, I removed the meat off from bone so that they can finish their lunch quicker. 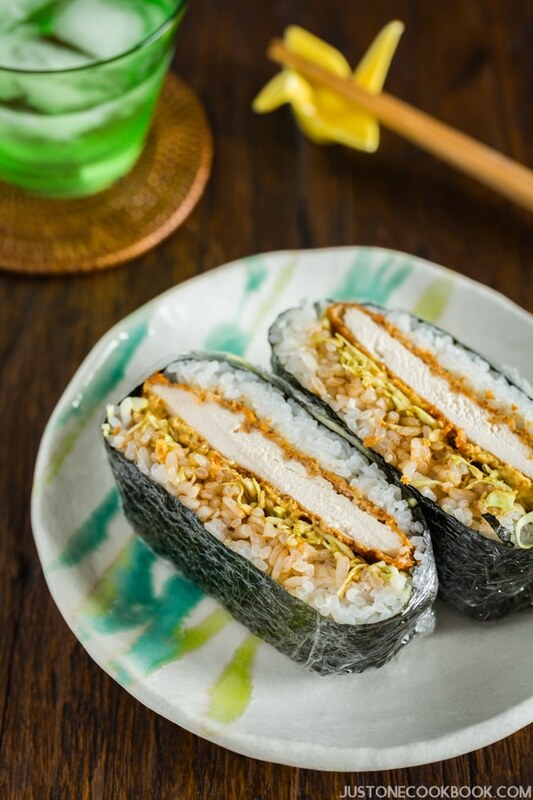 In the morning, I reheated the chicken (for food safety reason) and made Onigiri, Tamagoyaki, and sauteed cabbage. With all the colorful fruits and tomato added to bento box, the “leftover” lunch now is a beautiful healthy balanced meal. Make Onigiri (Rice Ball) and let it cool. Make Tamagoyaki (see how to make Quick & Easy Tamagoyaki). In the same flying pan, heat oil to sautee shredded cabbage. Season with salt and pepper. Transfer to a silicon cup. In the same pan, reheat leftover Honey Soy Sauce Chicken until it's warm thoroughly. Wash mini tomato and fruits and cut them if necessary. Start packing cooled foods into bento box. Cool down completely before closing the bento box. Please read FOOD SAFETY TIPS. You always make bentos sound so easy to make, and yours always look so pretty! This is a finger-lickin’ well balanced meal! I have no one to make a bento for but I love that chicken! 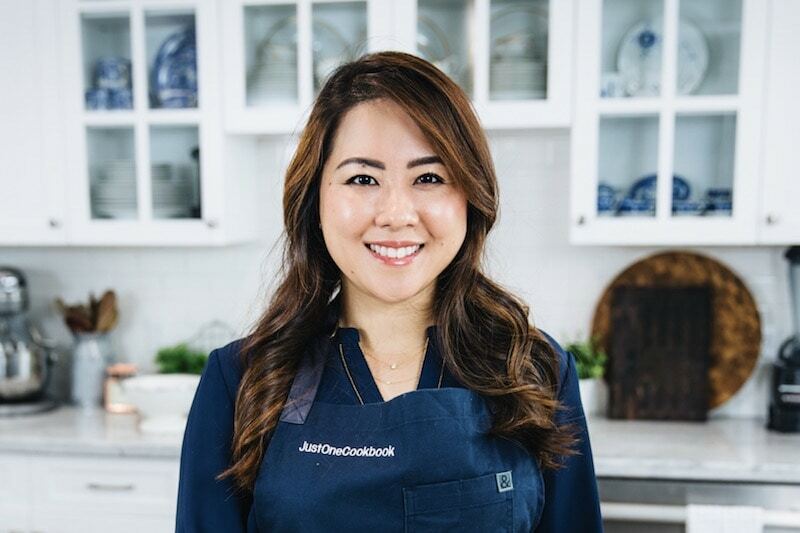 I can’t believe you have the time and energy to make your kids fresh lunches with your new business, blog, and now making videos. You’re Super Mom! Congratulations on starting your own business. How exciting and scary at the same time! I wish you much success and I don’t doubt that it will be a huge success! Looking at that bento box I have decided: I’ll move to SF, live somewhere close to you, go back to school and knock on your door every school morning for a bento box!! Best lunch in town 🙂 ! And it IS healthy! PS Just sent a post to friends: meant to include your business link – well, had pressed the ‘send’ ere . . . next time, Namiko-san: hope you are beginning to ‘do great’!!!! Nami, my mother used to make soy sauce chicken for us all the time as kids and it was one of my favorite dishes. 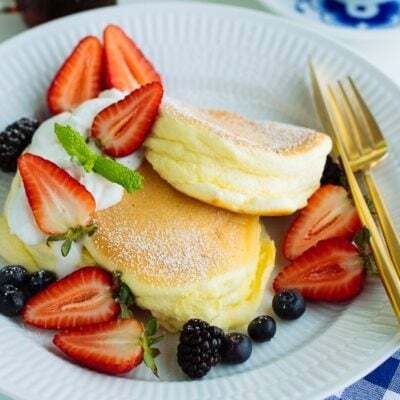 Her Chinese version is a bit different than this but I’m sure both are delicious and loved by kids…and adults like me. 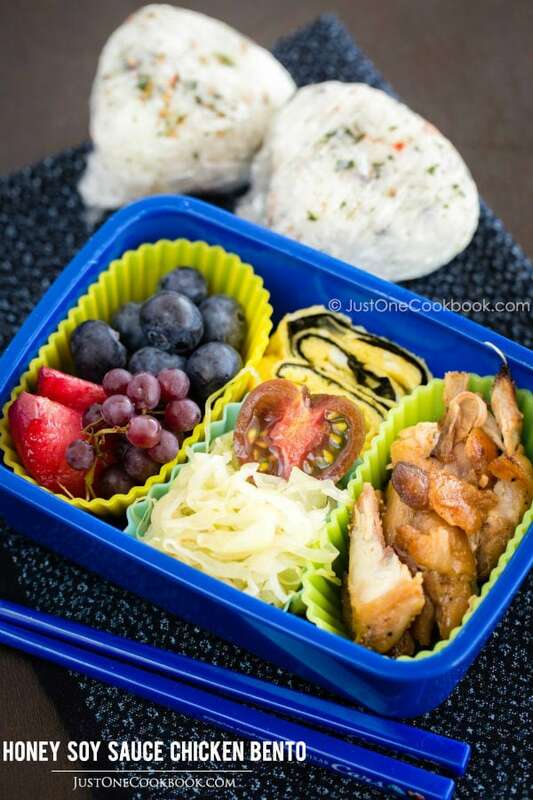 Everything in the bento looks delicious – what lucky kids you have!! Love your honey soy chicken, and that bento looks really tempting! WIsh I have the time to prepare bentos for my son and myself but time is always on the rush here! Sigh! You make the best bento! The children go back to school tomorrow after our holidays so I should start planning their lunch box now! Hi Nami! Congratulations on your new venture! Yummy and perfect bento lunch! Can I have your bento, too?! Please!! I’d love to taste this chicken! It has to be delicious! Congratulations on your new business and wishing you every success, Nami! Hi Nami, wish I can stay nearer to you. 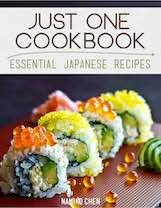 So I can order sushi everyday! Marvellous bento! 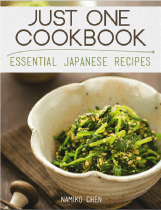 I instantly feel like making honey and soy sauce chicken tonight. I have made so many times and loved every single time! Had you not told, I believe no one could have guessed it was bento from left overs! The name of this sauce sounds delish. I’d be happy to dress my chicken with it! This is my kind of finger lickin’ meal!! Move over KFC, someone needs to bring out a meal box with japanese honey soy wings. Lovely pictures and great tut too. Nami, so are quite the busy person these days – all the very best for your new business at FishforSushi – whishing you a ton of success and then some! 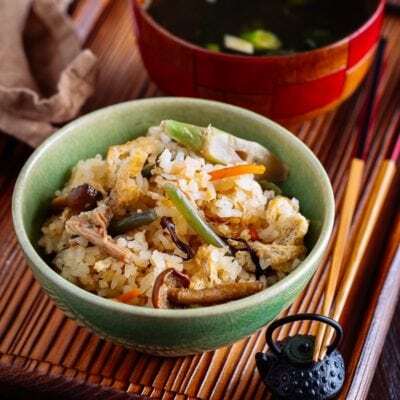 Your Honey Soy Sauce Chicken bento box looks wonderful – now I would like to eat some of that lovely and tasty chicken myself! 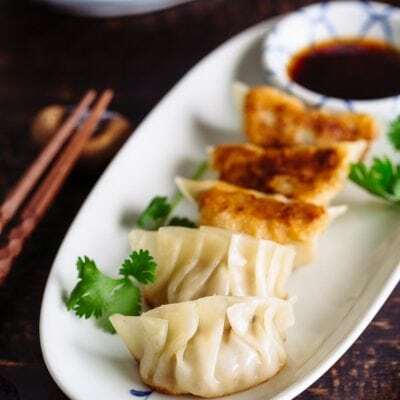 You make these look beautiful…I am in awe that (a) You have enough time to prepare these lip smacking awesome bentos (b) make them look like work of art (c) Photograph them like a pro. I learn so much from you. 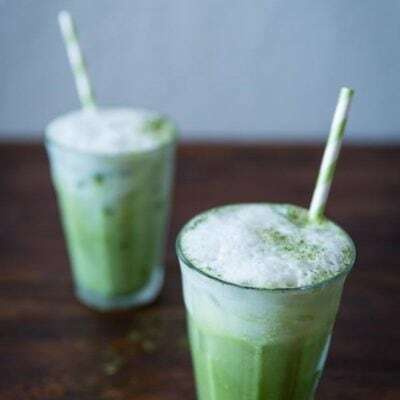 I can see your business is taking off, deservingly so, but don’t forget us, miss your blog posts! That is such a healthy and nice lunch box. Completely motivated by you, I went to diaso and got us some stuff. I made a bento lunch last week and the boys loved it. The egg rolls are a great thing. Beautiful flavors Nami, your kids are so lucky. A huge congratulations to you on all of your new ventures. Wishing you the very best of luck and much success!! This bento sounds delicious, thanks for sharing. 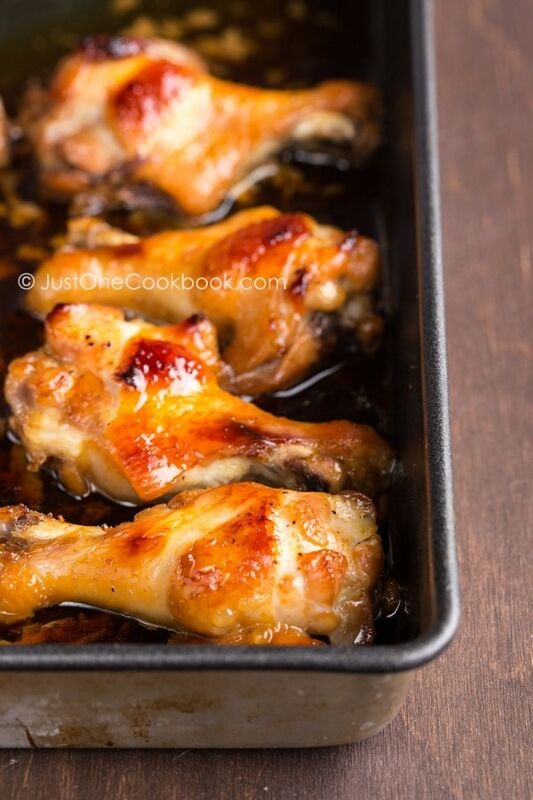 Oh that Honey Soy Sauce Chicken looks so succulent and juicy in the pan. Would love to have that in my lunch the next day too. Honestly every time you post a bento box I wish you would make my lunch lol. What a tasty bento, I love that chicken! The chicken looks so juicy! You have been very busy Nami! Lots of exciting things going on for you – that’s wonderful. 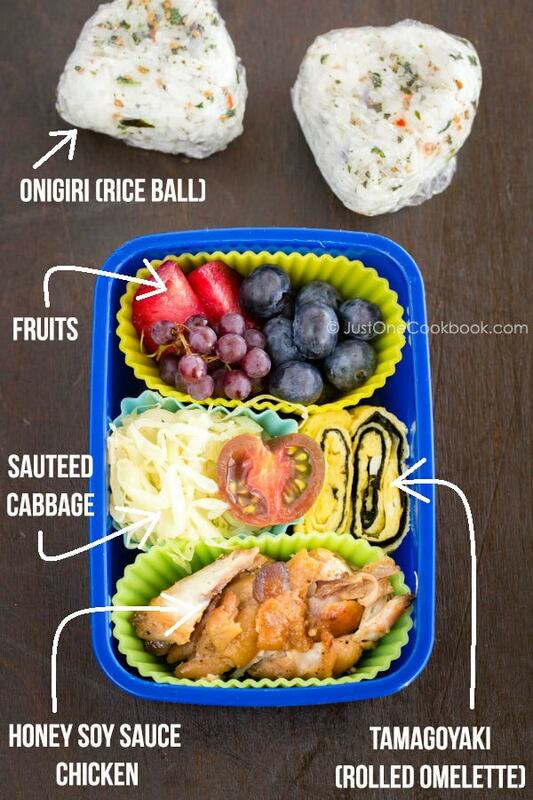 Your kids are lucky to have such a beautiful bento lunch! 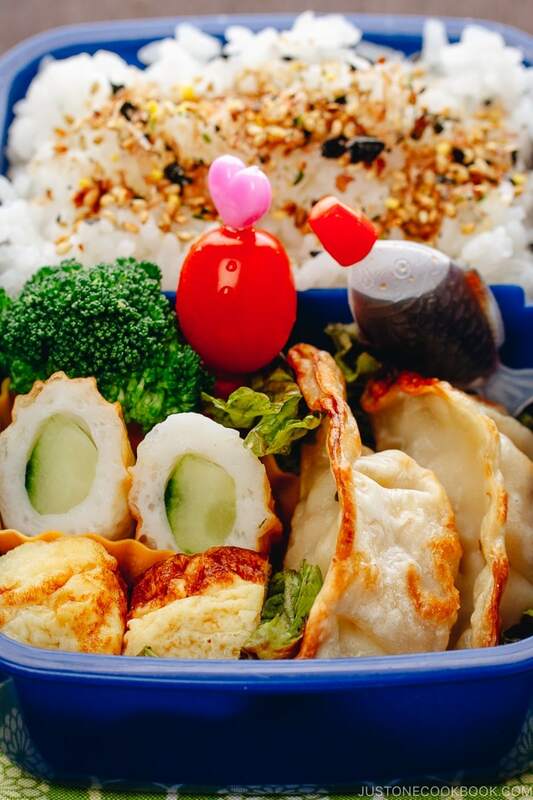 Another super cute and tasty bento…I love it! Nami, I want you to make MY lunch! Seriously, your children get the most balance, beautiful, healthy lunches…not to mention delicious!!! Have a great week, my friend. I didn’t know about a new business??? I’m going to check it out! So, Congratulations are in order! Nami, you have such a way with bento boxes. I love it! I am sure your kids have one of the most well-balanced meals in their class! Hats off to you for making such awesome bento boxes! I know for a fact that this chicken is delicious! What lucky kids. 🙂 Tasty, tasty Bento! I love you bento boxes! They are always so colorful and inviting!!! Good luck with the new business! I am sure it will go well. 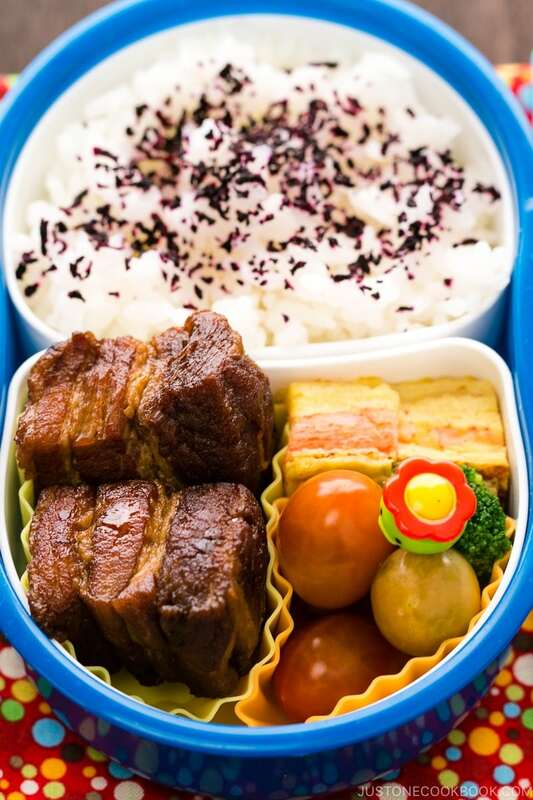 This bento is really beautiful – I would love to have it for my lunch! Those chicken legs look extremely edible, Nami. I bet your kids eat their whole Bento, too! Nami, your bento boxes are always stunning and delicious! I can guarantee your children are eating the best lunches for miles around. 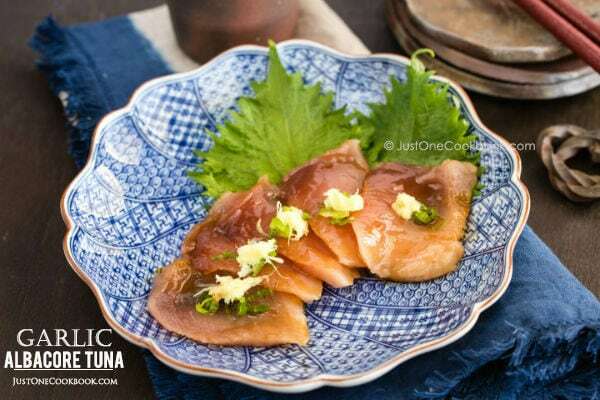 I want this for lunch today, Nami! Your bentos aren’t just cute, they are SO delicious! 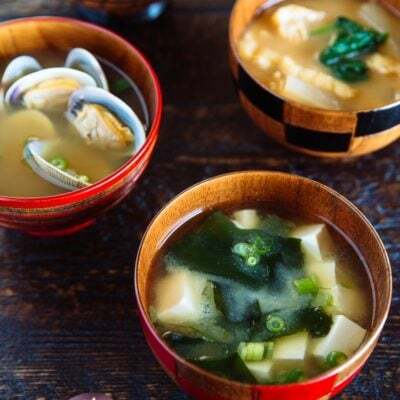 This looks like such a delicious and well-planned meal, Nami! Absolutely mouthwatering flavors! Nami, seriously I adore Bentos I think are something special this look beautiful and delicious!! That chicken is perfect golden! yum! 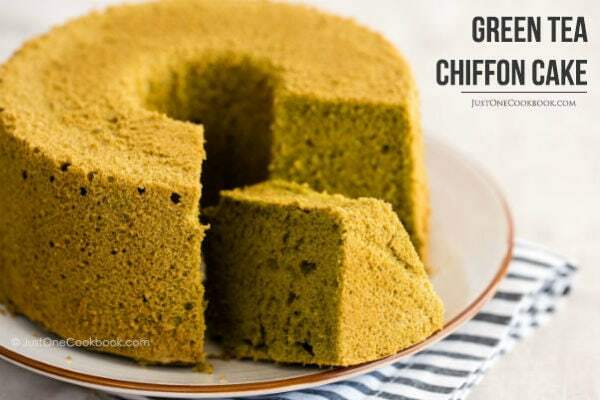 Delicious and easy. Don’t you just love that classic combo of salty and sweet? 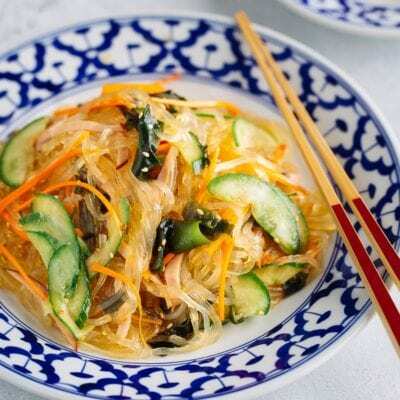 I love that this only requires 4 ingredients too! Thank you for sharing…and I’m so excited to read about you and all your work! Hi Nami! Long time no ‘see’ 😀 This looks great..u know what I’ve recently started to make bentos haha ..but I’ve got lots to learn – love how colourful and easy this is! Nami, I always like to see what new bento dish you put together and you never failed to deliver. The honey soy chicken looks fantastic and the combination of each item makes your bento super yummy. Thanks for sharing it! 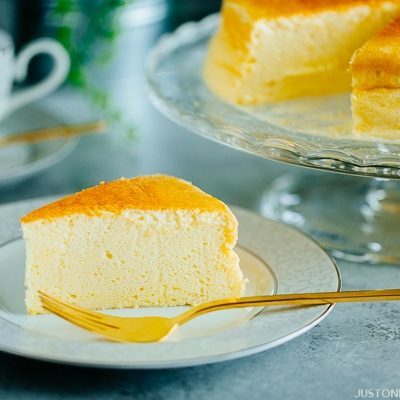 I love your recipes because they`re simple and encourages me to learn how to cook! Love how cute this chicken bento is! 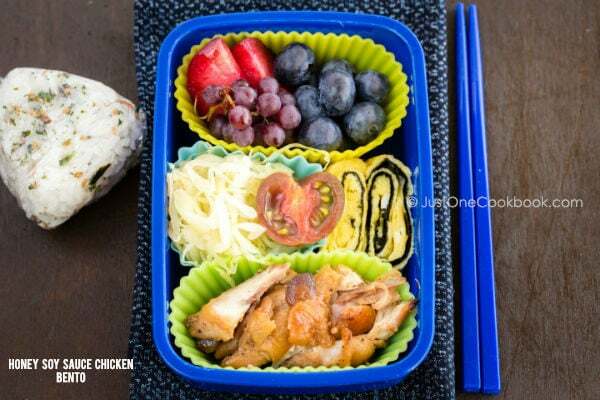 I don’t eat chicken but I love bento boxes, so clever! Loved the bento indea. Balanced and healthy and satisfying and fulfilling, as always. This chicken Nami has my name written all over it! OMG, Nami I don’t know how you find time for all your activities. The honey soy chicken looks perfect golden brown and the balance between salty and sweet seems perfect to me. Congratulations on your new business, wish you lots of success! Your kids are so lucky to have this kind of food for lunch. And you are a great mother…!!! 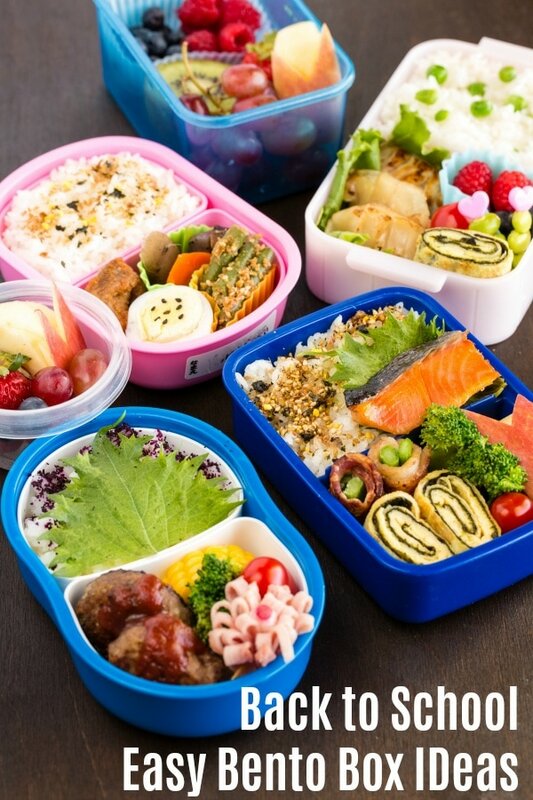 Hi Dear, Do you make the bento at night and keep in fridge? Reheat in the morning?